3544LF-WFMPU is rated 5.0 out of 5 by 2. 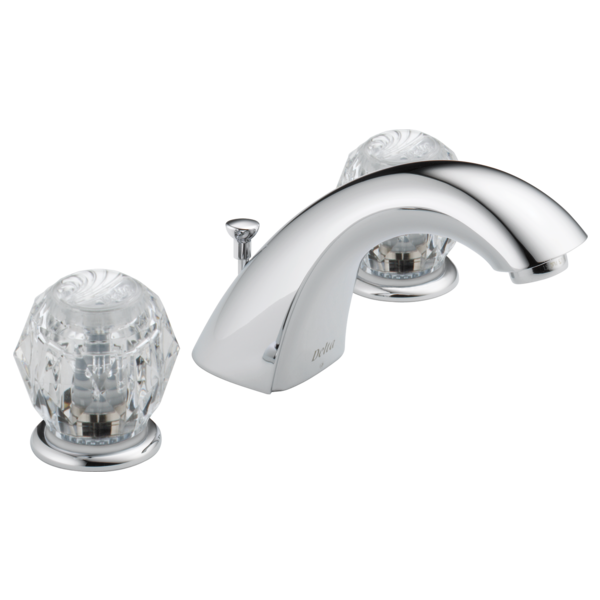 Rated 5 out of 5 by AmyG from Simply Perfect Some may think that this style of faucet is a bit out of date - but we had installed crystal lighting and the crystal look knobs fit just perfect. 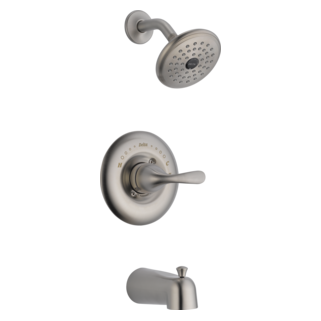 The knobs are very comfortable to use - ordering was easy and delivery was prompt. We did not use the drain that came with though - we installed a click pop up type. 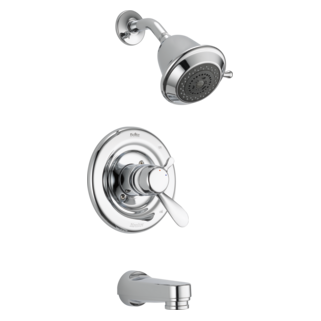 Rated 5 out of 5 by LinWoo12 from Glad you still had this faucet!!! This faucet was to replace an old one put in in 1987 and I was afraid it wasn't going to cover the holes but it worked beautifully. Thanks I was very satisfied. Hello Delta, I would like to purchase the Model#: 3544LF-WFMPU but not in the Chrome finish but in the Gold / Brass. Can you please let me know the model # and where I may be able to purchase it, whether in a store or Online? Thank you. 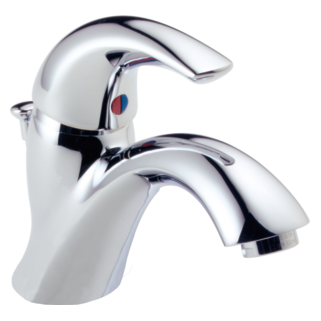 Could you provide dimensions for the base of the faucet and the base of the two knob handles for the Delta Classic 3544LF-WFMPU, please? I need only one side of faucet part (hotwater) leaking. exact the same design but the top part is metal not plastic. can you help me? What is the part number for the rubber seats with springs that fit the handles for the classic 3544LF-WFMPU in gold finish? Can I obtain the H and C inserts for these handles? How to get normal water flow after changing RP1740 stem unit assembly. Just getting a tiny trickle.